One of the most decorated knives of all time is back and better than ever. 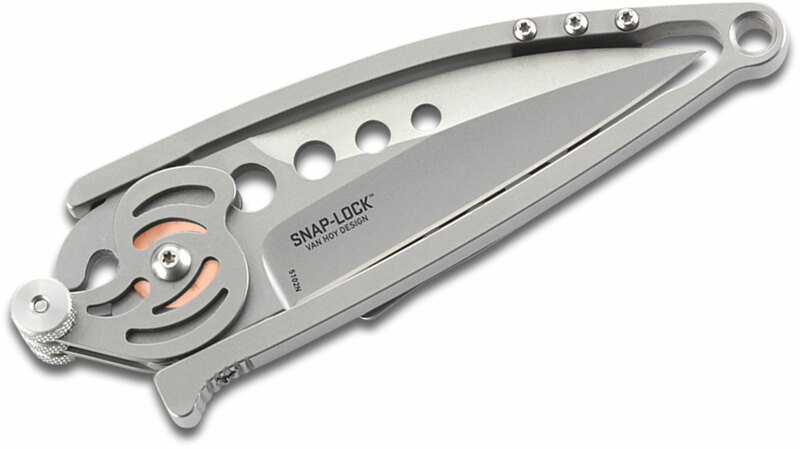 The Snap Lock held the knife world in rapture when it won the Most Innovative Knife Award at the 2004 Blade Show. 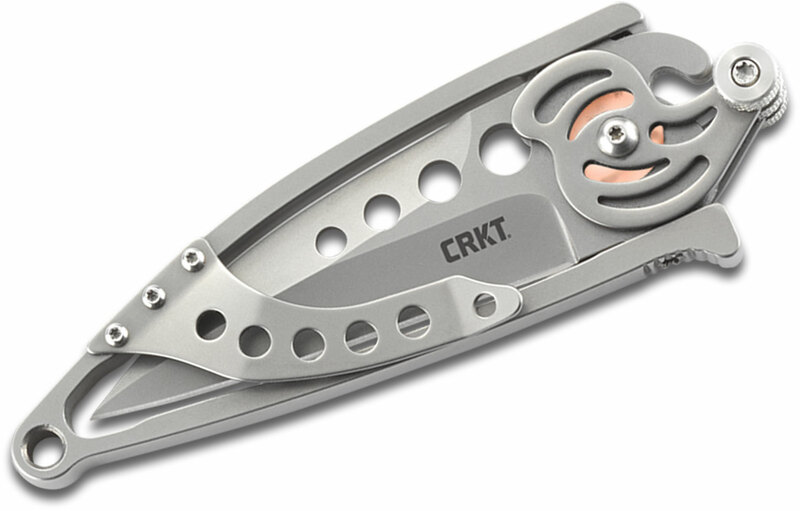 CRKT is breathing new life into this unique everyday carry folder and bringing back the 180° swing opening. If you think that it might be all show and no substance, spend a mere minute with it and you'll do a 180° swing yourself. From his shop in Abingdon, Virginia, Ed Van Hoy dreamed up this historical design. It's not only one of the most unique knives on the market, but it's one of the most useful — it features a money clip, and is remarkably low profile so it's never a burden. 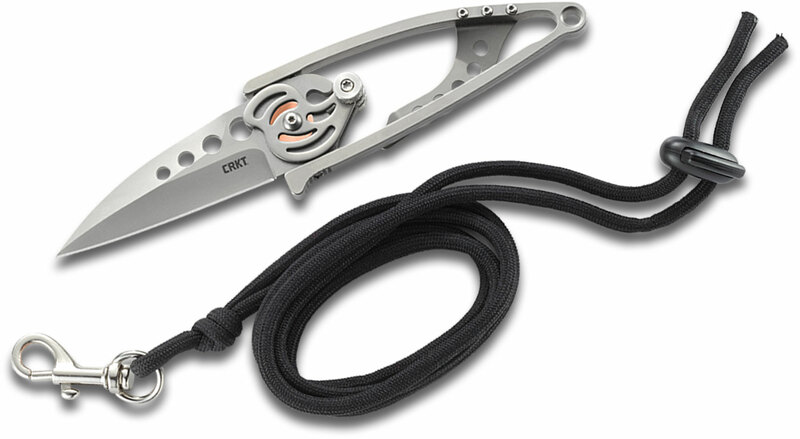 Plus, a quick-release lanyard adds a neck carry option so it's always at hand. 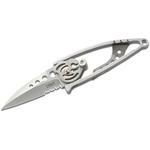 The stainless steel blade has a subtle drop point shape, and when closed, the matching wishbone frame is a 100% effective blade edge guard. The unique open mechanism becomes instantly intuitive once you push down on the front lever then rotate the blade outwards for a full 180°. 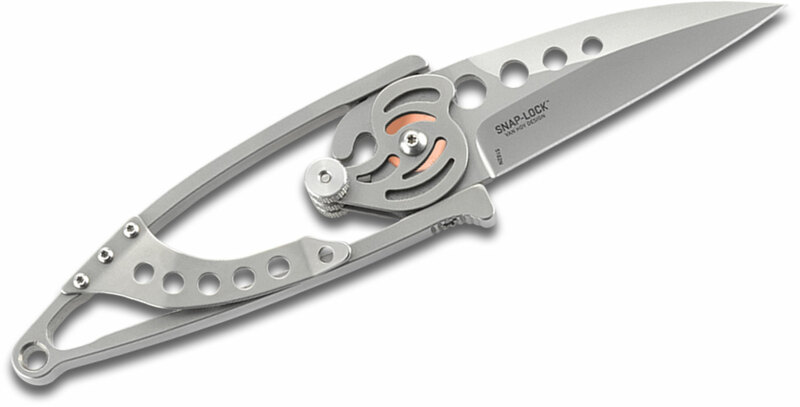 Once open, the minimal but very usable handle is extremely safe: the Snap Lock mechanism secures the knife so the harder you grip it, the more it locks the blade in place thanks to multiple positive locking surfaces between the frame and locking lugs. This knife made history, get your hands on a piece of Ed's legacy with the Snap Lock reissue. It looks cool and the opening and locking mechanism makes it a novelty knife. As far as the usability, it’s a different story: even with some practice, the edge of the blade gets so close to your fingers when opening/closing that you need to watch what you’re doing (while most knives can be open blindfolded). 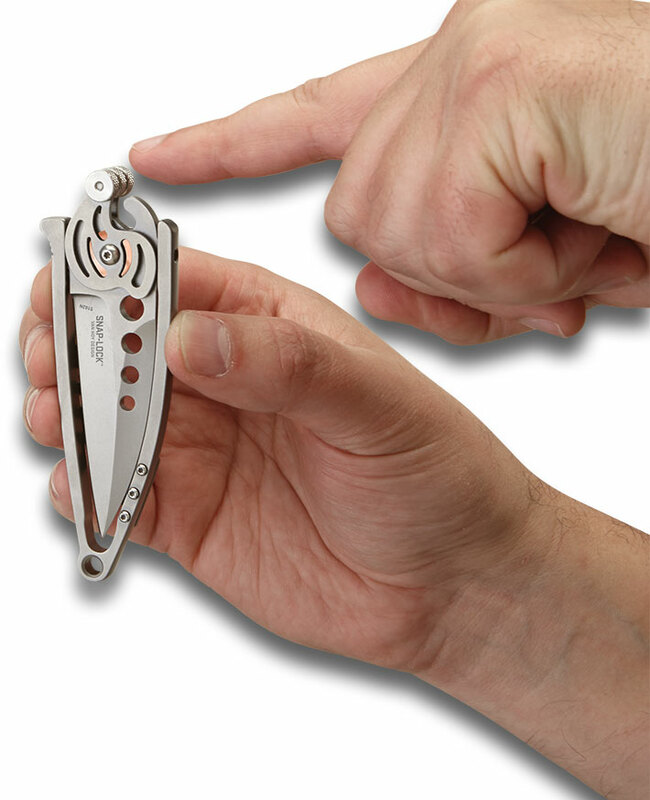 Also the pocket clip lets a lot of the knife sticking out of your pocket. 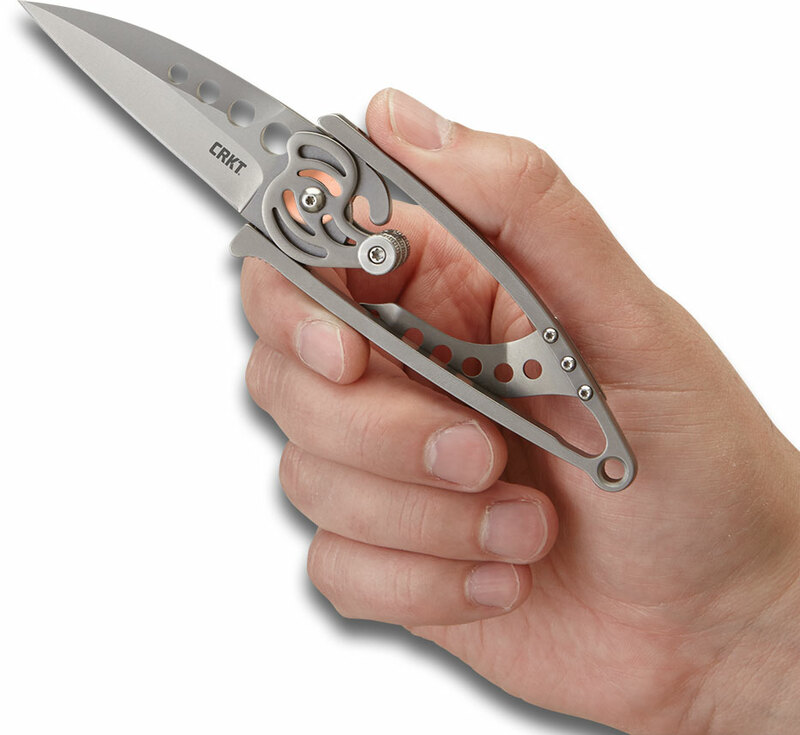 A knife collector has to own each possible existing lock type, for that reason, the CRKT Ed Van Hoy snap is a must-have. I bought this knife for its uniqueness more then EDC.. its a show piece. Hey, I wanted to share "Columbia River CRKT 5102N Ed Van Hoy Snap Lock Folding Knife 2.554 inch Plain Blade, Stainless Steel Handles" with you from KnifeCenter.